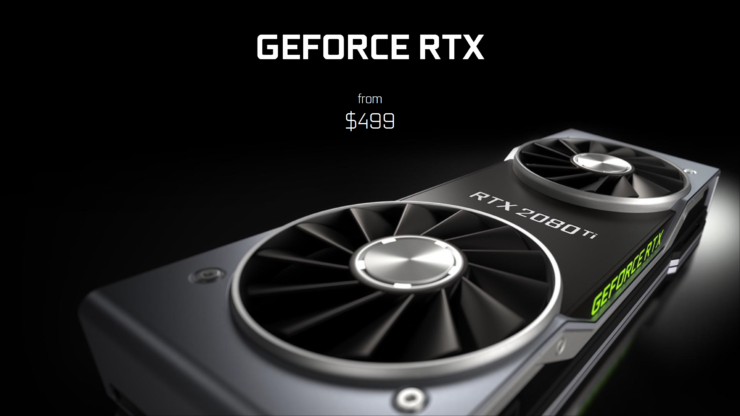 More gaming performance benchmarks of NVIDIA’s GeForce RTX 2080 Ti and GeForce RTX 2080 graphics cards have shown up. This time, we are taking a look at the Final Fantasy XV benchmark database where both of these cards have been listed with their respective performance numbers along with other graphics cards. 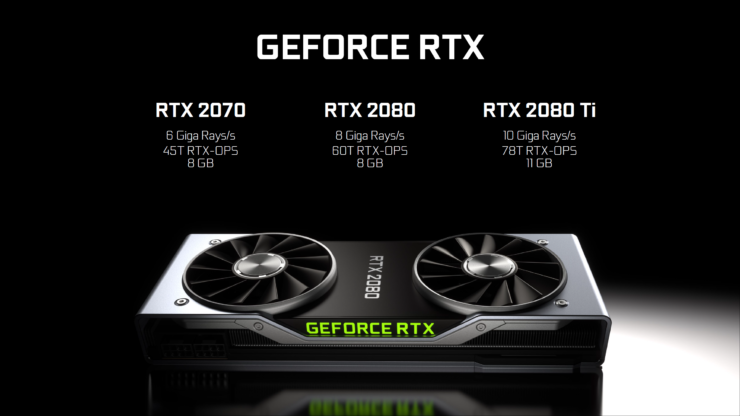 According to the benchmark information, the program is designed to list down the average scores of GPUs that are tested within the benchmark utility. The GeForce RTX 2080 Ti and RTX 2080 made their entry a few days ago and were tested against the likes of the GeForce GTX 1080 Ti, Titan XP, and the Titan V graphics cards, all of which are the best graphics cards that you could have bought before the RTX series was announced. 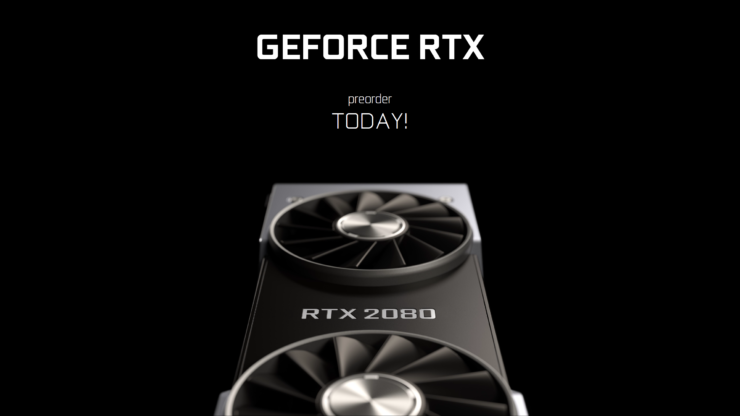 Coming straight to the scores, at 4K resolution with High Quality, the GeForce RTX 2080 TI scored 5897 points while the GeForce RTX 2080 scored 4589 points. 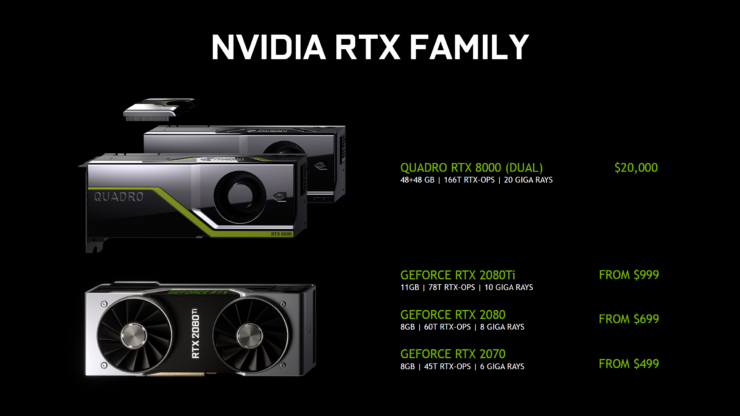 In comparison, the Titan V scored a total 5220 points, the Titan XP scored 4756 points and the Quadro GV100 scored 4595 points. 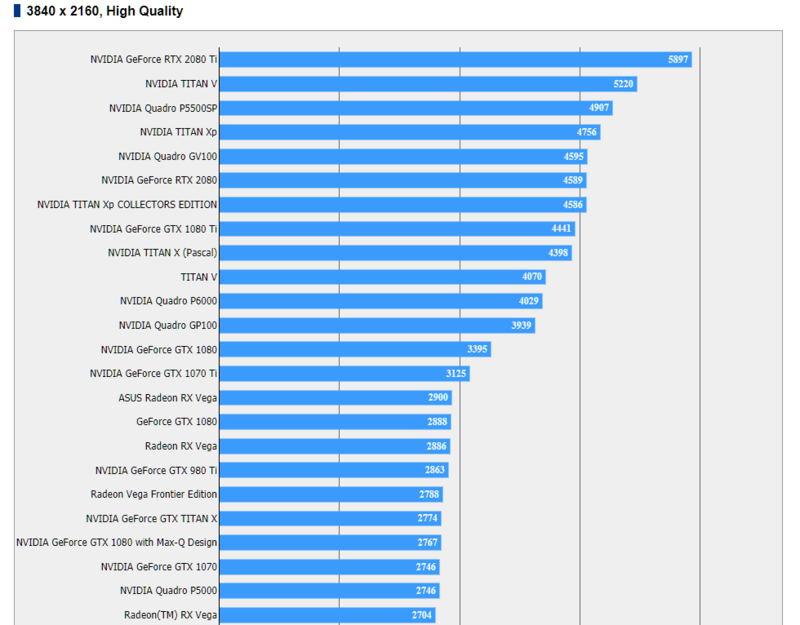 This shows that the flagship is faster than NVIDIA’s $3000 US Titan V while the RTX 2080 is faster than the GTX 1080 Ti at stock clocks which scores around 4441 points. 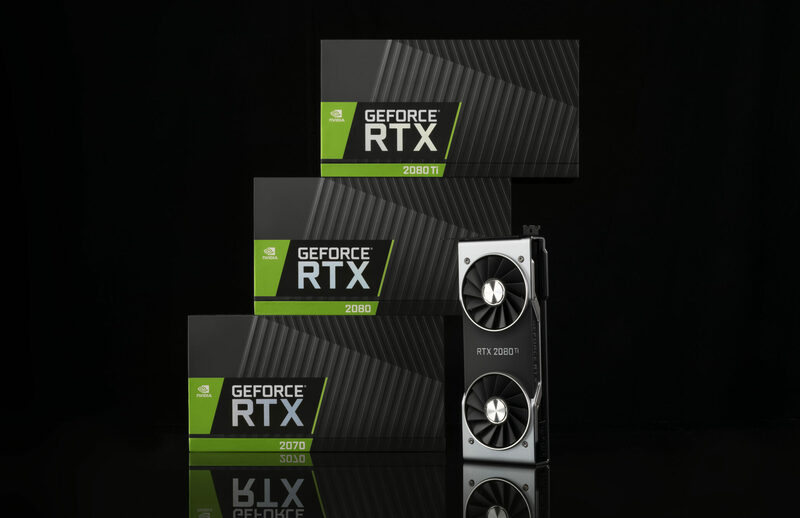 Moving on to the UHD resolution tested at the same High Quality preset, the GeForce RTX 2080 Ti scored 10308 points, the Titan V scored 8823 points, the Titan XP scored 8316 points an RTX 2080 scored 8171 points. In comparison, the GTX 1080 Ti scored 7788 points. The results we are looking at are based on the Founders Edition variants which are overclocked out of the box, but no manual tweaking was involved. So we may see a further performance jump with overclocked variants when users get their hands on them. NVIDIA has also shown us some official performance numbers with regular 4K 60Hz HDR gaming and those with DLSS enabled and the results speak for themselves. You can check them out here. 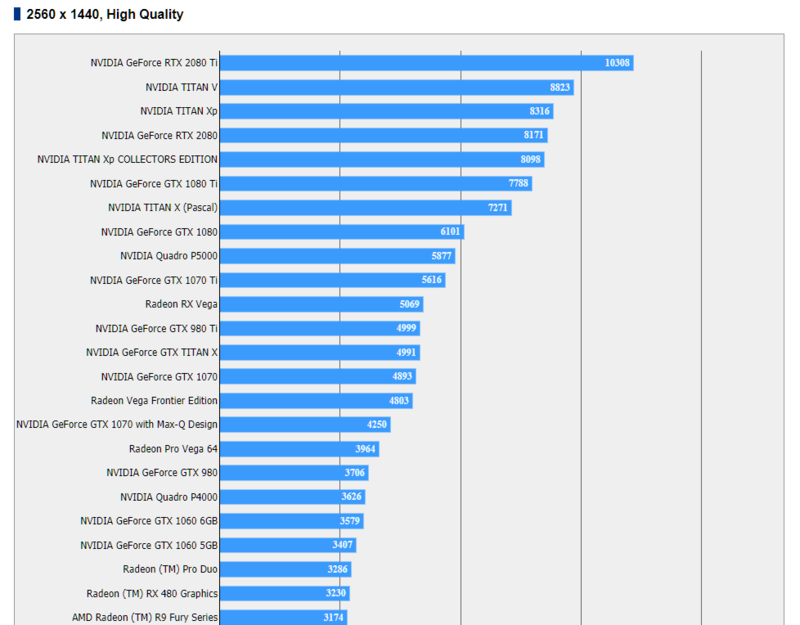 Aside from that, you can also see the 3DMark scores for these cards over here. The one thing we should tell is that the performance numbers are still under wraps till 19th September which leaves little or no time for consumers to reconsider the pre-orders since the availability is a day later, or less than 24 hours. 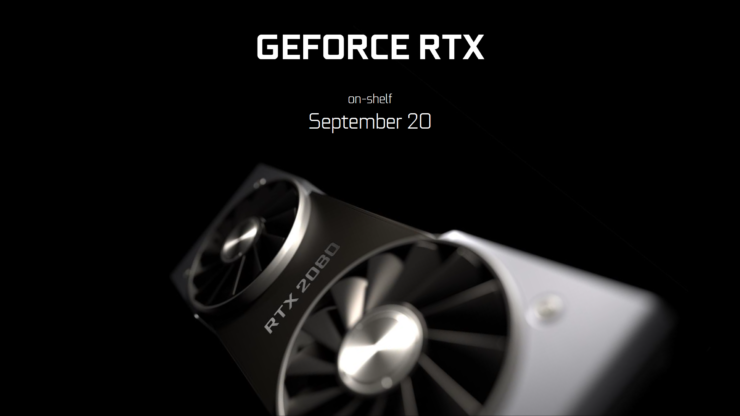 The reviews for the GeForce RTX 2080 Ti and RTX 2080 will go live on 19th September at the same time, but if you are planning to buy one, or already pre-ordered one, but going to reconsider your purchase, then you will have little time to think.